Another classic Sharon Barn - I like the bright white door trim and the faded wood around it. Someone with a barn, anyone - please invite me to come take pictures INSIDE! A few miles from us a barn conversion has been done and people live there. Looks such a lovely building. I love a good red barn - they always draw me in. Great shot! Interesting picture. 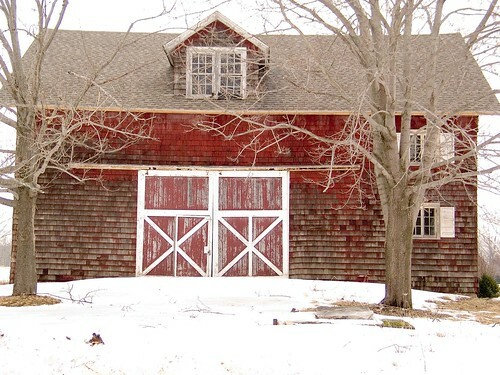 The barns looks like it could contain a studio. Barnie & Fred? Oh lord....Where did that come from, Sigmund?